The CN0172 Preset Indexer is designed for applications where repetitive moves of a constant size are required. The rate of acceleration, base speed and maximum speed are all trimpot adjustable. 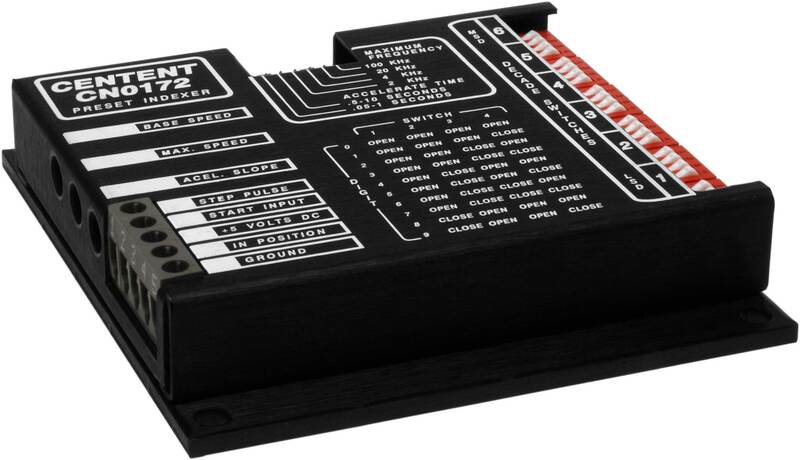 The number of steps to be taken are set via six BCD decade DIP switches. Indexing is initiated by a momentary switch closure on the "Start" input. The motor begins to accelerate from the "Base Speed" at a rate set by the "Acceleration Slope" to the speed set by the "Max Speed". The move size is set the "Decade Switches". After the move is completed, the "In Position" output signals your equipment that the motor has finished its move. 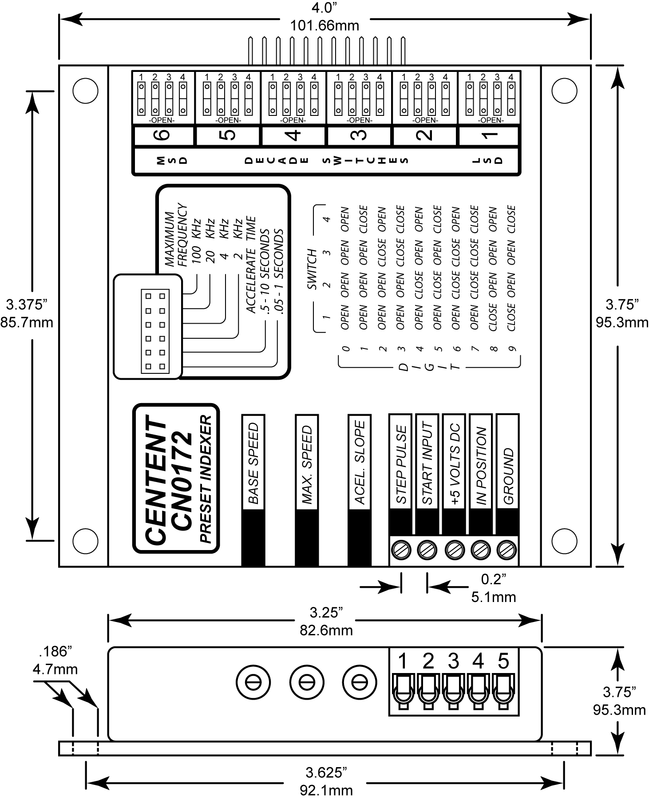 The CN0172 connects to all Centent step motor drives directly. 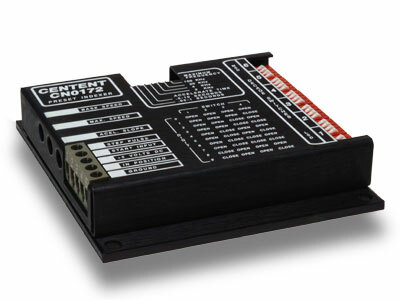 All that is required is a 5 VDC, 100 mA power supply and your interface switches to operate this motion controller. Size: 4" X 3.75" X .8"